A concert by a group described as the 'world's number one Celtic band' has been cancelled due to safety worries. Irish band Charlie and the Bhoys were due to play at the council-run Civic Centre during the St Patrick's Day weekend. The planned concert led to an angry reaction on Rangers' fans football forums across Scotland, with one contributor to a site publishing contact details for all councillors in East Kilbride - asking fans to call them and demand the show be stopped. Today (Wednesday) South Lanarkshire Council announced that it was taking steps towards cancelling the show. The show was described on the Charlie and the Bhoys' website as its Lisbon Lions night . Set to take place on Friday, March 18, it is believed that the protests from Rangers fans originated on the fanzine forum, Follow Follow, where fans urged those against the gig to email or phone East Kilbride councillors. Over the weekend, all East Kilbride councillors received several emails asking them to stop the gig going ahead and linking them to the band’s performances on YouTube. One contributor to Follow Follow said: “Just shows when presented with facts and straightforward emails in numbers, councils - no matter how much they want something - have got to follow the laws of the land the same as everyone else. 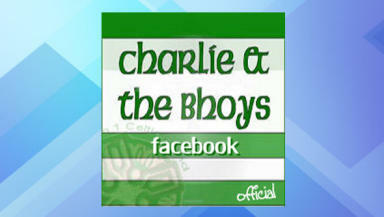 On the Charlie and the Bhoys Facebook page, the band posted a comment at 5.30pm regarding the cancellation. The statement read: "We have done these Celtic/Irish nights all over the world but only seem to get trouble when we're in the West of Scotland. "This was a St Patrick's day concert for the Celtic fans and Irish descendents in East Kilbride. "It looks like the faceless people who write on forums can control a council."